Mindful eating. Intentional movement. They DO make a difference. With the support of BeNew, the changes I’ve made resulted in a body I’m comfortable in. But with contentment comes complacency if I’m not careful! When even the new clothes hang a bit big it is easier to take that extra slice of pizza like I did while watching a movie Sunday night. But being obese for several years taught me that I can’t let that kind of thing go unchecked and maintain a healthy body. So I ate smart the Monday after and followed it up with a wonderful 5 mile walk with my hubby. Walking is such a simple pleasure. When Jerry joins me it’s like a date only with no calories or $$ spent! We roam the neighborhood together, and the conversation goes deeper. Everything looks brighter. We’re tapping into those love languages of quality time and companionship even as we get healthier. Often we talk about the stuff that really matters, the kinds of things that just don’t come out over the dinner table. Investing in time together reminds us that after 24 years of marriage, we’re still best friends. Even though we usually cover familiar territory, we often discover patches of beauty we haven’t noticed before. 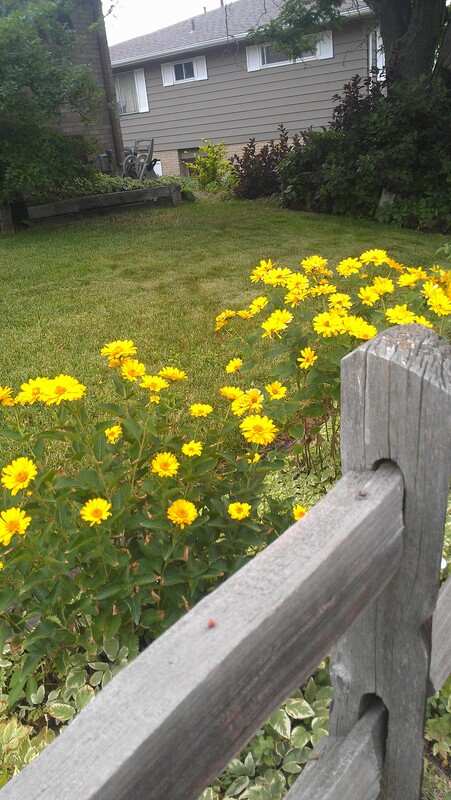 The bright yellow flowers next to a wooden fence take me back to my small town, turned country upbringing. 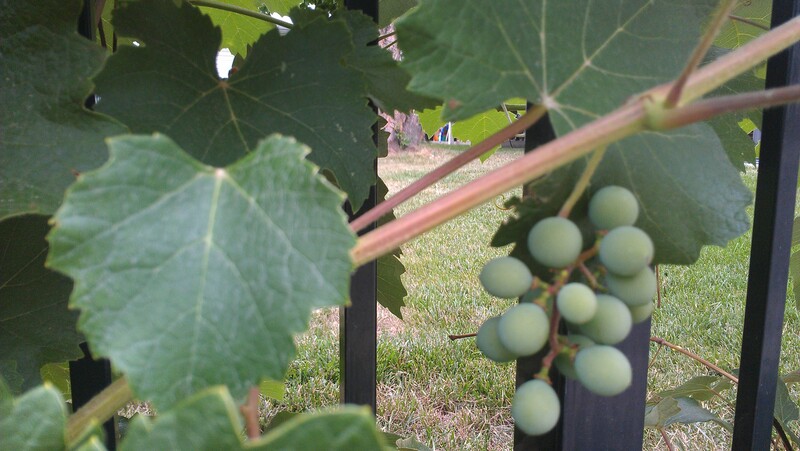 I was surprised when right night to a busy road we discovered grapes growing! 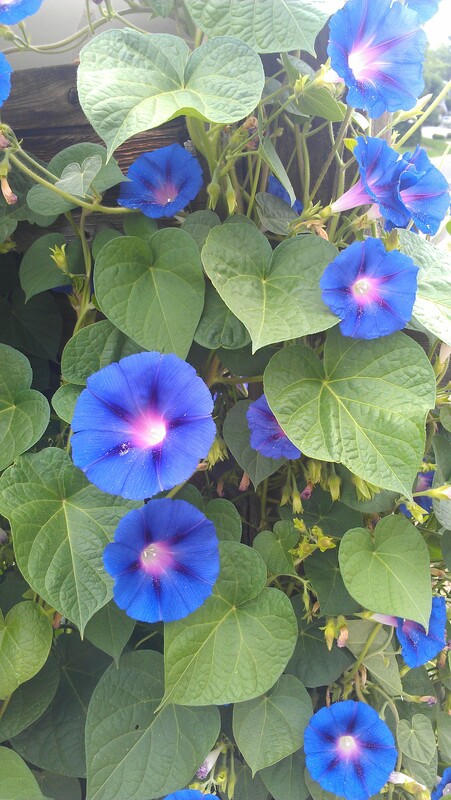 I often see foliage I’d love to add to my yard, like these creeping flowers. 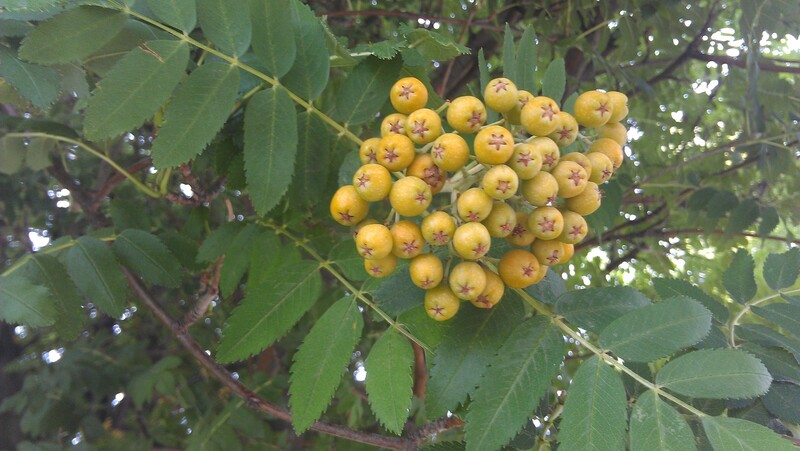 The other day we walked right beneath a tree with something berry-like growing in the leaves. I have no idea what they are, but it was a fun discovery, seen only because we were at exactly the right angle to spot them. Starting a BeNew journey can feel overwhelming. Cutting back on unhealthy, high-calorie food can feel like deprivation. But it is truly worth the life-change when you get your body back, enjoy a walk, and smell the roses. How can you embrace life’s simple pleasures, pouring into a new healthier you instead of giving into feeling deprived? Many times on my BENew journey the answer was to simply take a walk and invite my best friend. Morning glory flowers, and a mountain ash tree. Thanks, Heidi! I really appreciate knowing these things! This is great Paula. Walk date how fun!!! Thanks, Rosemary! We really enjoy it! Love it that you know all the names, Marie! Not all of them Paula, and sometimes these days even some of the ones I know escape me, must be getting old!